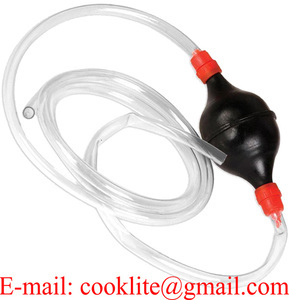 Liquid/Fuel Transfer Siphon Pump - Large Squeezing Syphon for Lawn Mowers & Manual Pumping Petrol, Water, Alcohol and more! 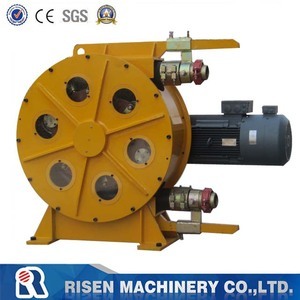 When a pair of roller rotate and squeeze the hose, the rotation and squeezing force will force the transported material flow in single direction and with no back flow. 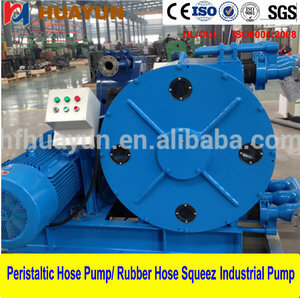 After the material in hose is transported, the squeezed hose will return to its normal shape by its elasticity and pressing force of side rollers. 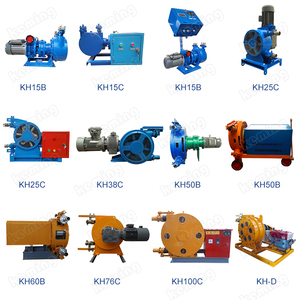 , LTD , specialized in researching and development and production all kinds of concrete mixer, mixing station and various related spare parts and other machinery. 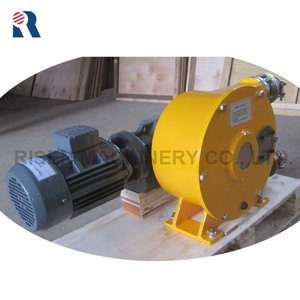 SN 15 Color Transparent Roller numbers 3/6 rollers Roller material 304 SST Max flow rate 1615ml/min when equipped with RUNZE 57 step motor Speed 0-500rpm Tubing Rubber/silicon/Viton Working temp. 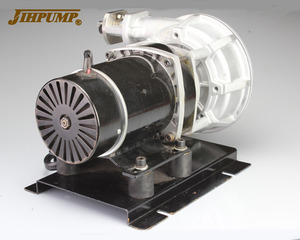 l SN15 pump head can be equipped to step motor shaft 6.35mm or 8mm which requires different couplings, RUNZE step motor is 8.0mm shaft. Order Options Tubing Size (mm) Remark SN15-3-14# 3 roller Tube #14 ID1.6*OD4.8*WT1.6 1. 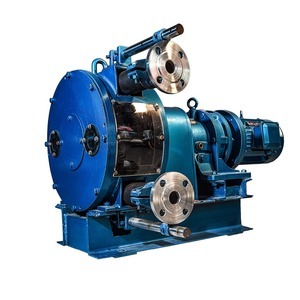 Exit diameters of SN15 pump head vary when equipping different tubing sizes, so we classify the model numbers by tubing numbers. 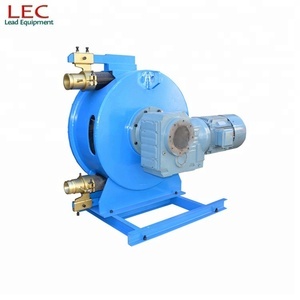 OEM supplier ISO and CE certificate LH squeeze hose peristaltic pump Description: LH series industrial squeeze hose peristaltic pump consists mainly of pump house, rotor, roller, idle roller, squeeze tube and driving unit. 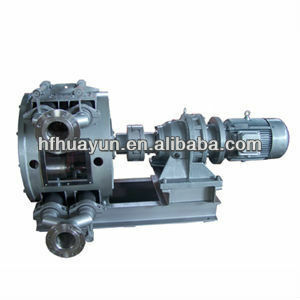 Thus the negative pressure in this hose is generated, sucking slurries, and discharging through outlet under roller&rsquo;s push, finally forms pressure conveying of slurries. 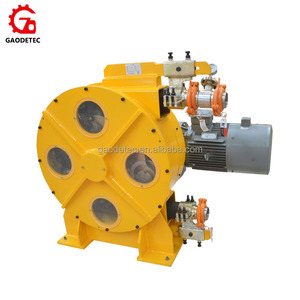 LH series industrial squeeze hose peristaltic pump are mainly applied in distant conveying, grouting and dosing of viscous slurries in construction, mining, food, papermaking, ceramic, etc. 8.Cosmetics industry: toothpaste, emulsion, hair conditioner, face cream, facial oil. 7.Q: How to place an order 9 A: Both pnline order and offline order are acceptable. 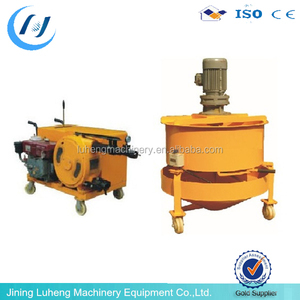 It is suggested to place online order with a Trade Assurance to get full protection for this order.